The Volcom Bridger Insulated Snowboard Pant is what snow dreams are made of. 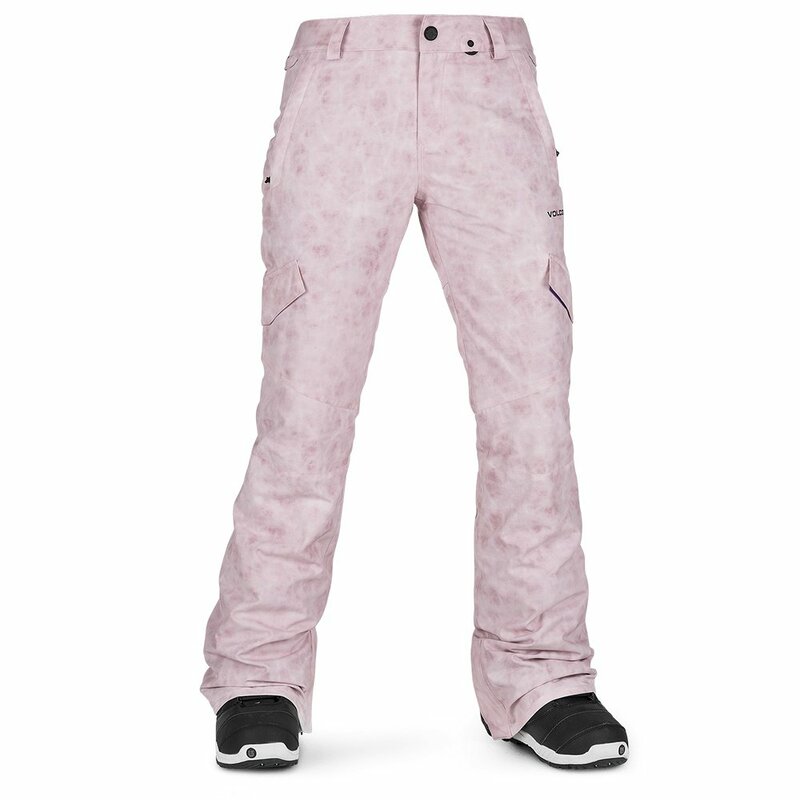 It's a fitted, feminine snowboard pant with the features and durability you want for season after season of wear. With enough insulation to keep your legs warm and a breathable lining system to ensure you don't get too warm, these are the perfect go-to pant for women who count boarding days into the double - or triple - digits every season. On powder days, attach the Bridger Insulated Pant to select Volcom jackets with the built-in zipper system for head-to-toe protection against snow and ice. 10K waterproofing and breathability ratings balance snow protection with air circulation and comfort. These snowboard pants have a modern, slim fit and adjustable waistband. 60g of insulation make these perfect for layering on cold days or worn alone during spring snowboarding.